Philips Hue is the first name in smart lighting as far as a lot of consumers are concerned, but TP-Link quietly makes several quality smart home options, including smart light bulbs. The LB120 bulb is already reasonably priced, going for between $23 and $30 apiece, depending on the retailer, and it's currently even cheaper at B&H. You can grab a two-pack for just $30. The bulbs aren't full color, but you can tweak them to put out warm or cool white light to your preference, ranging in temperature from 2,700 to 6,500K. Unlike Hue offerings, TP-Link's bulbs also don't require a hub to use, connecting directly to your Wi-Fi network — meaning you have one less piece of hardware to fuss with (and pay for). There's no end date for this sale price, but B&H says there's a "limited supply at this price." 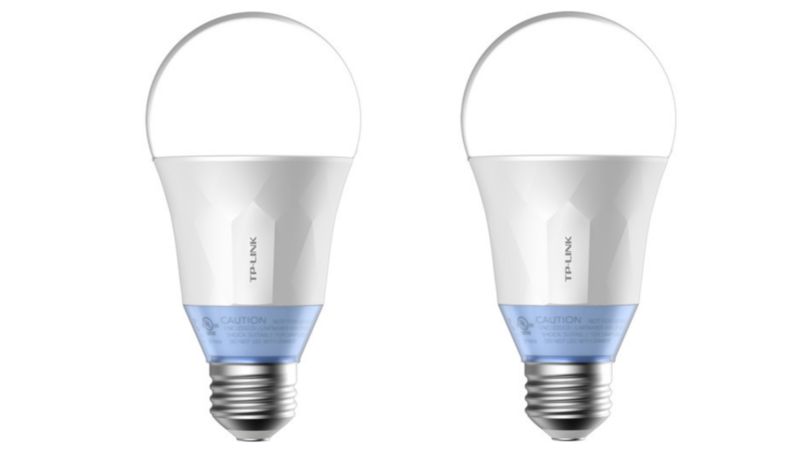 If you're looking to kit your home out in affordable smart lighting, jump on this one.